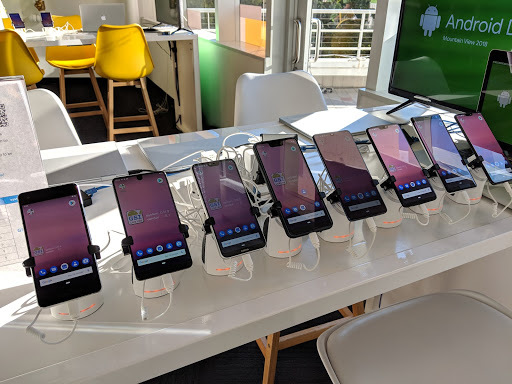 Last week at the 2018 Android Dev Summit, we demonstrated the benefits of Project Treble by showing the same Generic System Image (GSI) running on devices from different OEMs. We highlighted the availability of GSI for Android 9 Pie that app developers can use to develop and test their apps with Android 9 on any Treble-compliant device. Launched with Android Oreo in 2017, Project Treble has enabled OEMs and silicon vendors to develop and deploy Android updates faster than what was previously possible. Since then, we've been working with device manufacturers to define Vendor Interfaces (VINTF) and draw a clear separation between vendor and framework code on Android devices. Going forward, all devices launching with Android 9 Pie or later will be Treble-compliant and take full advantage of the Treble architecture to deliver faster upgrades. Thanks to Treble, we expect to see more devices from OEMs running Android 9 Pie at the end of 2018 as compared to the number of devices that were running Android Oreo at the end of 2017. The GSI is built from the latest available AOSP source code, including the latest bug fixes contributed by OEMs. Device manufacturers already use GSI to validate the implementation of the vendor interface on their devices, and Android app developers can now harness the power of the GSI to test their apps across different devices. With GSI, you can test your apps on a pure AOSP version of the latest Android dessert, including the latest features and behavior changes, on any Treble-compliant device that's unlocked for flashing. We're continuing to work on making GSI even more accessible and useful for app developers. For example, the GSI could enable early access to future Android platform builds that you can run on a Treble-compliant Android 9 device, so you could start app development and validation before the AOSP release. If you are interested in trying GSI today, check out the documentation for full instructions on how to build GSI yourself and flash it to your Treble-compliant device.